Whether you're a beginner or a yoga addict, yoga DVDs provide a complete workout when you can't make it to the studio. The best yoga videos fit your ability level and will grow with you as you improve. You should also look for quality production values and knowledgeable instructors. Many yoga workouts are now available online for a small fee or at no cost. ConsumerSearch analyzes hundreds of expert and owner reviews to recommend the best yoga videos. Since the 1970s yoga has gone from a niche activity to a mainstream exercise that's often recommended for flexibility, stress reduction and even overall strength and fitness. It's usually practiced at a gym or yoga studio, where you may pay $10, $15 or even $20 for just one class. When you're crunched for time or can't fit a trip to the studio into your schedule, or are short on cash for an individual lesson, yoga videos can save the day. They offer a private, highly affordable, flexible option for keeping up with your yoga skills -- or for developing them. There's a yoga DVD for every style of yoga and every skill level. You can find yoga titles for beginners, advanced practitioners, pregnant women and everyone in between. Some of the most common styles include Vinyasa, Ashtanga and Anusara yoga. In Vinyasa, poses flow together in one fluid movement with a focus on breathing. Ashtanga is a highly athletic style of yoga that follows a series of poses; it's also the basis for power yoga, which focuses on building strength and generating heat. Also featured in many yoga videos, Anusara takes a spiritual approach and includes flowing poses. Still other DVDs combine yoga with other fitness routines such as Pilates, kickboxing or dance. Just as yoga methods can vary, so can instructors' expertise and style. Some instructors include lots of chanting and meditation, while others downplay such spirituality. Previewing a yoga video online can help you ensure that an instructor's style will mesh with your own. While the majority of instructors are certified within a certain school of yoga, plenty of personal trainers lead videos without certification. Either way, the best yoga titles will feature a knowledgeable teacher who can give insightful guidance on correct form and breathing techniques. Yoga DVDs for beginners take things slow. Some yoga videos use complicated terms or move quickly between poses without detailed, step-by-step instructions. DVDs aimed at beginners move slowly and include plenty of comprehensive instruction. The instructor demonstrates modifications, which are easier variations of challenging poses. These programs may encourage the use of equipment such as yoga blocks or straps to help with form, flexibility and stability. There is little to watch out for here, though the pace of beginners' DVDs may be too slow for those used to a faster, more intense workout. Prenatal yoga DVDs provide a gentle workout for expectant mothers. Pregnancy is exciting, but it's also filled with aches and pains, anxiety and even insomnia. Prenatal yoga DVDs aim to ease some of those symptoms by providing gentle stretching, breathing exercises and meditation. Some prenatal yoga DVDs may also include poses meant to increase strength and flexibility during labor. Many show modifications that help women tailor their workout to each stage of their pregnancy. On the downside, women who worked out regularly before pregnancy often complain that prenatal yoga DVDs don't allow them to work up a sweat. Others cringe at the earth-mother style of some of the programs, saying they sometimes find the instructors or music cheesy. Online yoga sites are an inexpensive alternative to classes at a yoga studio. The last few years have seen an explosion of subscription-based yoga websites. 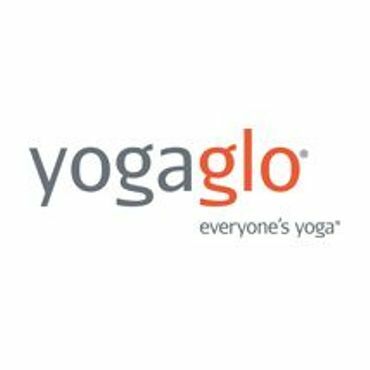 For about $10 to $20 a month, users gain unlimited access to classes in all yoga styles taught by a wide variety of instructors. Indeed, online yoga can help beginners explore different types of yoga to discover what they like best. They also let more experienced students find classes with greater difficulty or a specific focus, even down to soothing a sore back or unwinding after work. But the production value of yoga sites' videos may not be up to par with that of DVDs, and some caution that the sites can be overwhelming for beginners. To accompany your yoga routine, see our report on the best yoga mats. If you want to change things up, why not alternate between Pilates videos and exercise videos in other disciplines? ConsumerSearch has analyzed expert and customer reviews to evaluate instruction, production and ease of use for popular yoga videos. The results are our picks for the best yoga videos on the market. It may not be the most current DVD on the market, but Bryan Kest's Power Yoga (Est. $13) is still a vigorous, challenging workout for intermediate and advanced yoga students, reviewers say. The three included workouts allow students to progress to harder moves as they become stronger and more flexible, and modifications help those who are still building their skills. However, it may be too difficult for absolute beginners. Fans of the video say it provides interesting moves, creative sequencing and enough variety to keep it interesting. Kest, a power yoga pioneer, is intense and spiritual, though some reviewers say they find his approach "corny" and say he talks too much. Others warn that the dated production can be distracting, down to the '80s-style music and matching white leotards. No special equipment is required for the workouts. Yoga students in search of a program with a more flowing style may appreciate Shiva Rea Daily Energy (Est. $14) . Reviewers love the program's "matrix" feature, which allows them to create a highly customized program from several short segments. Production quality is top-notch, and users can choose from both energizing and relaxing workouts. Reviewers also like the ability to turn off Rea's voice-overs, which some may find particularly valuable if they dislike her approach. Some find Rea calming, while others say she epitomizes "hippy-dippy" yoga teachers. The production values get great reviews, for their setting and soothing music. The program does not include modifications, and users recommend it for intermediate or advanced students. If a lot of chatter about mental clarity and deep breathing isn't your cup of tea, Jillian Michaels Yoga Inferno (Est. $10) is worth a try. The program blends a more traditional cardio and strength regimen with yoga-inspired moves, and reviewers say the result is an intense, fast-paced workout that exercise enthusiasts (and Jillian fans) love. Modifications are included, and the two half-hour programs can be performed individually or combined. But if Michaels' tough-love, drill-instructor style sounds intimidating, reviewers say you may want to look elsewhere. They also say the instructions and cuing sometimes are lacking, and caution yoga purists that Yoga Inferno isn't spiritual or reflective. A knowledgeable instructor with excellent form. Modifications for different skill levels.